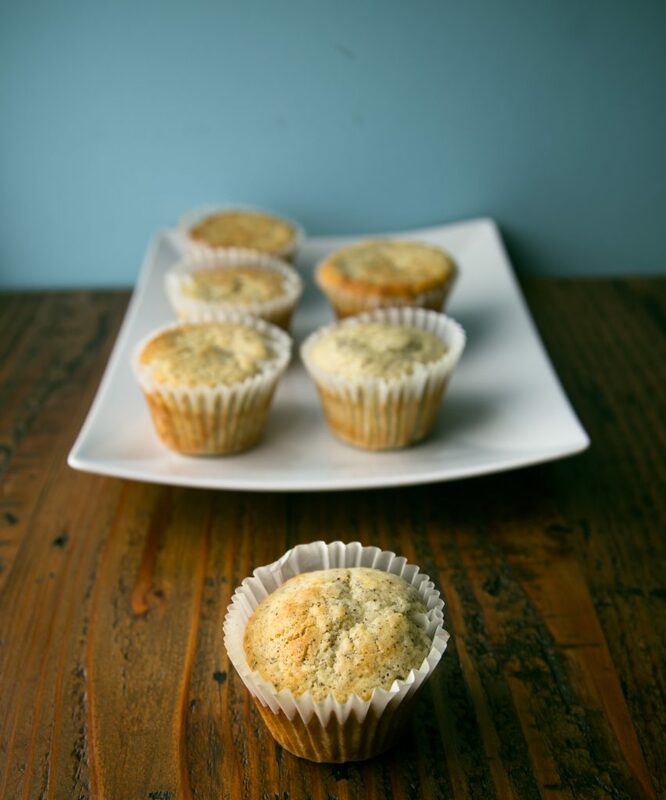 If you have made our gluten-free muffin mix and have a bag in the cupboard, you could make these muffins immediately. If not, then the proportions for the dry ingredients are in this link. Go and make some today. Prepare to bake. Heat the oven to 425°. Line a muffin tin with muffin liners. Prepare the batter. Put the gluten-free muffin mix into a large bowl. Make a well in the center. Combine the wet ingredients. In a large bowl or glass measuring cup, whisk together the eggs, oil, and buttermilk until they are fully combined. Pour the wet ingredients into the dry ingredients. Blend them together with a rubber spatula until they are fully combined. Add the lemon juice and poppyseeds and give the batter another good stir. Fill each muffin liner 2/3 full. Bake the muffins. Bake the muffins at 425° for 10 minutes, then turn down the heat to 375° and bake until the muffins are browned on top and a toothpick inserted into the center comes out clean, about 15 minutes. Remove the muffins from the oven. As soon as the muffins have cooled enough that you can quickly touch the liners, flip them and put them on their sides in the muffin tin. This will help the muffins cool more evenly. Cool the muffins to room temperature. Eat as you wish.